If Someone Says “No” To Your Offer…Hire Them! What do most professionals do when a prospect tells them No to their offer? They will do one of two things. They will become the world’s biggest pest until the customer kicks them out or finally resentfully buys…then cancels. But there is a 3rd and better way! When someone says No to your offer, chances are very high they know someone who would say Yes to your offer, and if you are willing to pay them enough for that referral they will go to their data base like a deep-sea diver. When someone says No to my offer, I tell them I understand, my offer is not a fit for everyone. Then I show them five $100.00 crisp bills and say, but if you do know anyone that is looking for this (whatever I am offering), these five $100.00 bills are yours as a referral thank you. Your eyes will bug out of your head when you see how quick a rude, no time for you, not interested in your product person suddenly now becomes your Best Friend! I had many a No’s turned instantly around and buy my product and then say…”Now how many people can I refer to you?” It is the perfect Painless Conversion plan to turn strangers into loyal customers that becomes a referral machine for you. Using this method of marketing and selling will drastically turn a negative situation into a fabulous situation and cause your income to go up and make a lot of new friends as well as contacts. Far too many people say that money is not that important (those are the stupid ones) yet it is amazing what happens to those same people when you put nice warm fuzzy one hundred dollars bills under their nose. Their eyes get glazed over, a smile comes upon their face and although they were as mean as a junk yard dog, they now have become as docile as a baby lamb. I once handed a man who purchased some gift certificates at our retail outlet our book The Millionaire Within as a thank you gift. He looked at the book, and then threw it on the counter and said, “I don’t want that damn book, I am not interested in money”. I jumped up, smiled as big as I could and shook his hand and said, “Wow, you made my day, in 50 years on this planet I never met someone as stupid as you!” Keep up the good work because I am a hard guy to surprise and shock. The guy was so stunned, and did not know how to respond, he had a hard time finding the exit door. He walked away with his lips moving but no words were coming out. I am lucky he didn’t knock my teeth out! Remember, I do not just write about creating money, I actually give our readers the opportunity to earn it! Thank you for once again visiting our daily blog and bring us into the homes of your friends and family. 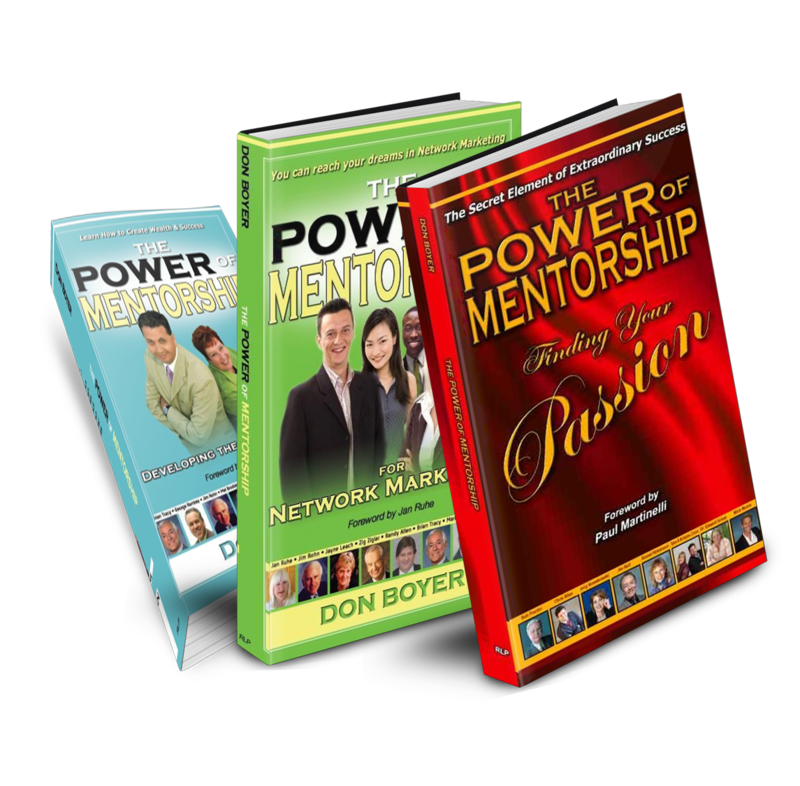 Don’t forget to join our Free Exclusive Inner Circle Membership, to join go to http://www.donboyerauthor.comI Guarantee you will Love It!